A report by the Congressional Oversight Panel credits the $700 billion Troubled Asset Relief Program with keeping the financial system from collapsing in late 2008, according to The New York Times. But the panel also criticizes Treasury Secretary Tim Geithner for keeping TARP's purpose vague -- leading some in Washington to think that any extra TARP funds are free money they can spend as they chose. I disagree. TARP's real purpose has been achieved, so we ought to declare TARP triumphant and put the program into liquidation mode. This means no more writing checks from the TARP account, and trying to maximize the amount that the government collects from selling warrants and getting funds back from the banks that were lent the money. Unfortunately, that's not quite the way it's going to play out. Today, Secretary Geithner announced that TARP would be extended until October 2010. 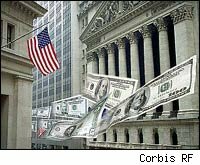 The purpose of TARP has never been clear enough -- but to the extent that it succeeded at any of its goals, the best thing it accomplished was to save the banking system from collapsing. The good news is that not all of the TARP money will be lost. As much as $559 billion of the TARP funds could ultimately be returned to the Treasury -- assuming that its latest forecast is right. That would mean that the $700 billion TARP will ultimately cost taxpayers just $141 billion, as reported by Bloomberg News. And CNNMoney reports that JPMorgan Chase (JPM), which has already repaid $25 billion in TARP money, could yield as much as an additional $1.5 billion for the Treasury through an auction of its JPMorgan stock warrants. Lots of people have ideas about how to spend that "unused" TARP money, but those ideas are outside the program's scope. And since Secretary Geithner extended TARP until October 2010, there'll be about 10 months for them to try to spend it. For example, President Obama wants to apply $175 billion of the TARP funds to paying down the deficit, according to CNBC. And I think $150 billion of the TARP money ought to go to paying off state budget deficits, which are expected to reach $150 billion by 2011, so that 900,000 state workers can keep their jobs. (Of course, what I think matters infinitely less than what Obama does). But if anyone in Washington wants to spend TARP money for purposes other than the program's true one -- to save the financial system from collapse -- they should get Congressional approval first. After all, this is taxpayer money we're talking about here.